Learn why Elotek Systems is a major solutions provider. | Elotek Systems, Inc.
Elotek Systems is a solutions provider committed to the selling and marketing of technical solutions and products, which include sensing, measuring, power management, conditioning, telemetering, recording and processing of data. Customers include aerospace, industrial, medical and military markets as well as OEM’s, systems integrators, VARs, engineers and end-users. We offer our services throughout the Western United States, Alaska and Hawaii. Elotek Systems, INC. was founded in 1981 and incorporated in the State of California in 1984. We are a professional, highly-technical marketing organization, structured to sell solutions in the Data Acquisition, Instrumentation, OEM and Telemetry markets. We also support distributors and VARs. Servicing both the engineers and purchasing managers, we provide technical assistance and demonstrations of the most complex products to achieve the ultimate goal….SALES. Participate in the high technology product marketplace. Be specialists in physical measurement, data acquisition, factory automation, telemetry and computer technology. Represent only “top-of-the-line” electronic and electro-mechanical products and companies. Present our customers with the best possible solution for their applications from the companies we represent. We provide our principals and customers with a professional and highly technical sales team who utilizes the most sophisticated tools designed to maximize their time in front of their customers. Our sales force is equipped with cell phones and work out of their satellite offices equipped with voice mail, e-mail, faxes and laptop computers, tying them to our fully staffed main office for instant updates. Our sales people are CSP (Certified Sales Professional) Certified. Our Management Team has completed their CPMR (Certified Professional Manufacturers Representative) accreditation from Arizona State University. These tools allow them to make the most effective presentations to their customers. 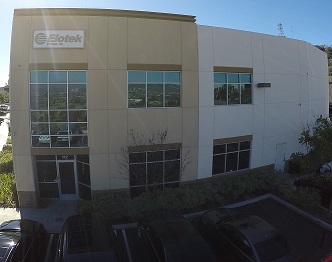 Elotek is located in central Orange County, where we maintain a fully staffed office with a Centrex phone system coupled to the latest voice recognition/voice mail system and a state-of-the-art, on-line computer system for tracking all activity. These systems provide seamless and effective communication between our sales force, customers and principals. Contact reports are computer generated and compiled into a business opportunity report allowing our sales force and principals to forecast current business and track all opportunities. To maintain the edge, our staff attends seminars dealing with technical, sales and marketing and management subjects. Elotek provides a full-time, inside sales and telemarketing staff. Every customer contact and lead receives a line list and a prepaid mailer to take advantage of our synergistic products and to make it easy to request additional information. In addition, our telemarketer contacts every lead by phone and/or e-mail to determine what sales opportunities exist. This leaves our outside sales people free to concentrate on the real opportunities. All leads are entered into our database, and we generate a report on every lead for each principal, which can be used to help determine the effectiveness of the their lead generation program. Frequent mailings are also an integral part of Elotek’s service, designed to enhance sales by keeping our customers informed of new products and upcoming events.